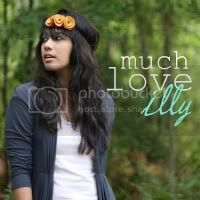 much love, illy: DIY guest post from Erin of Sunshine and Carousels!! DIY guest post from Erin of Sunshine and Carousels!! So excited to have Erin guest post for us today! Like most of you know, DIYs are not my thing so when Erin sent her post over to me, I was giddy-excited about it. This tutorial is perfect to add those last-minute Christmas touches, but I think it's also perfect for anytime of year depending on color and ornament variation. Be inspired and enjoy! Hi there this is Erin from Sunshine and Carousels. I'm mother, wife, crafter and coffee drinker. I absolutely love coloring my world and making pretty things. I spend my days working in my tiny at home studio making handmade hair accessories, shoe clips, belts, clutches and jewelry. I'm on a mission to create pretty wearable items with unique color combination and lovely details. 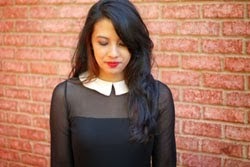 I'm so excited to be a guest blogger today on Much Love, Illy. Today I just wanted to share a little DIY Christmas wreath project. Before you go out and buy all sorts of pre-made decorations for Christmas just considering making your own. I love making my own decor because I can match it perfectly to the decor I already own and I can add my own personal touches as well. **This wreath can be made in any color. Joann's and Hancock fabric carry many colors of lace and the background fabric can be colored broadcloth found at the same stores. 1. Cut your muslin and your lace into 3-4 inch wide strips. Use a similar solid color fabric as your base so that you cannot see the foam or straw through the lace. 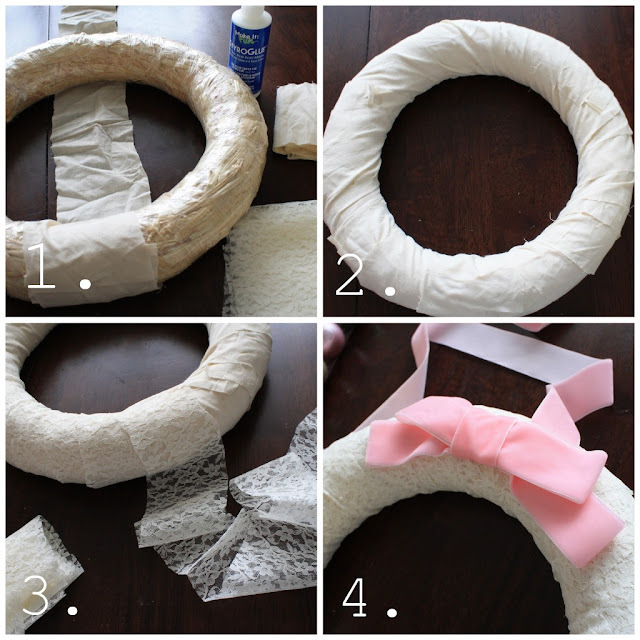 2.Use a thin line of foam glue (found at most craft stores) and glue the fabric to the back of the wreath. Press the fabric firmly to the back of the wreath, you may let it dry for a couple of minutes. After you let the glue set for a moment continue to wrap the muslin around the wreath. This may take several pieces just continue like you started. 3. 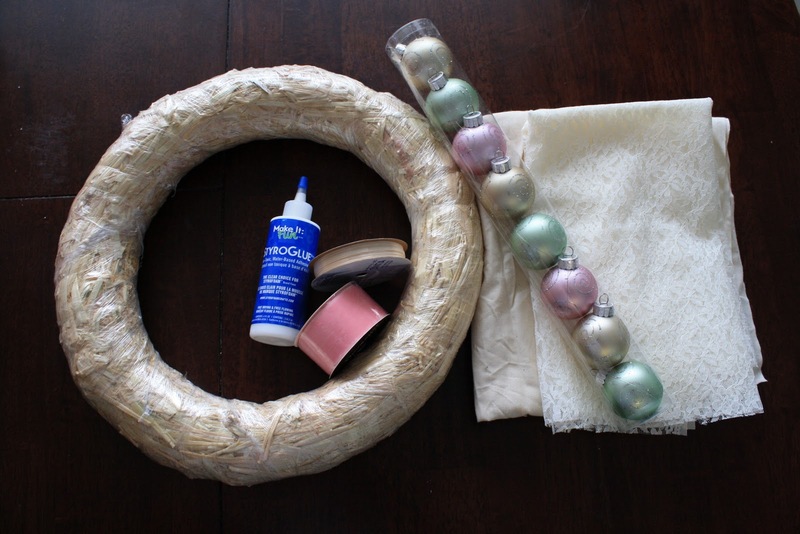 Wrap your lace around your wreath just like you did for step two. I used hot glue this time around so that it would dry faster since it was not attached to something that would melt. You may use the foam glue as well. 4. 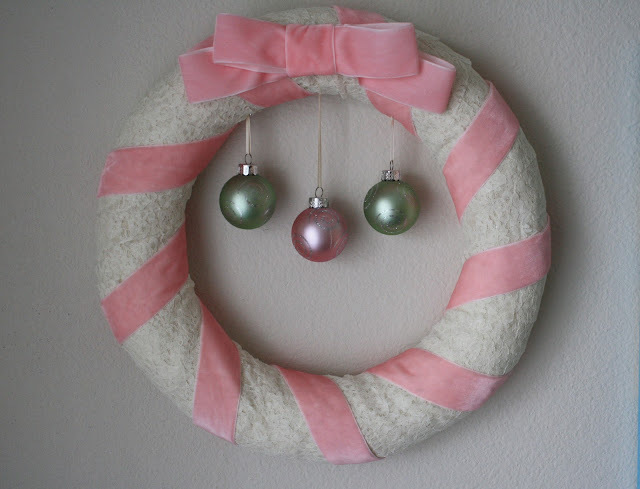 Once your glue has dried on your wreath you may start making a bow to set at the top of your wreath. I used wide velvet ribbon but any ribbon will do. 5. 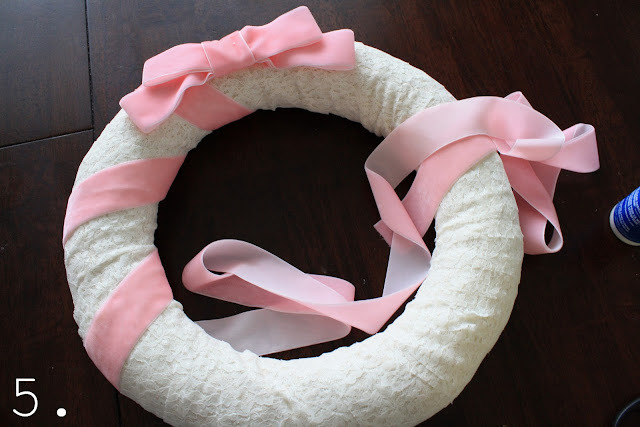 Wrap ribbon around your wreath using foam or hot glue to attach the beginning and ending point of your ribbon. Be sure to attach the ribbon to the backside of your wreath so that you don't see the attachment on the front side. Add your bow last by hot or foam glue. Such a pleasure to have you here with us today! folks, you have two more days for Erin's sweet giveaway for $20 shop credit! I love that even those of us that aren't crafty can do this. Thanks for sharing! Im gutted I didnt make one, definitely in my to do next year! How fun! And seriously, her blog name is incredibly cute! Oh I loved this post! :) Thanks so much for sharing! Oh, this tutorial is genius! I'm definitely going to have to bookmark this one. 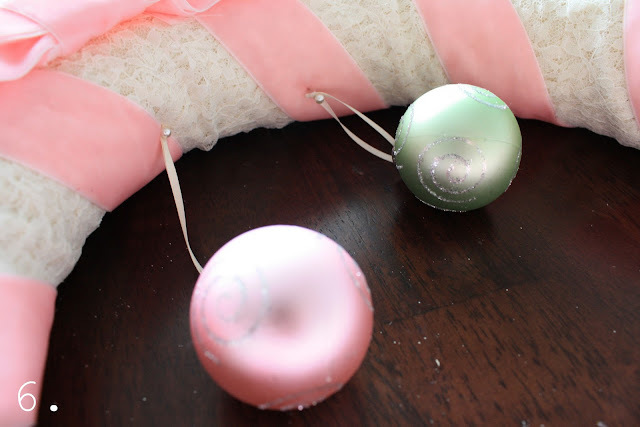 this is such a sweet diy! i need to make this...maybe for next year? !